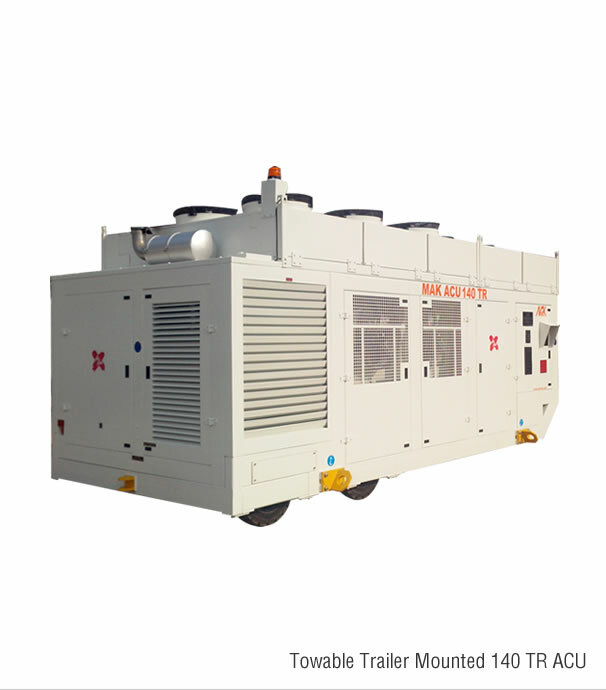 Aircraft air conditioning unit is used to provide cold air & hot air to the aircraft while parked on the ground. 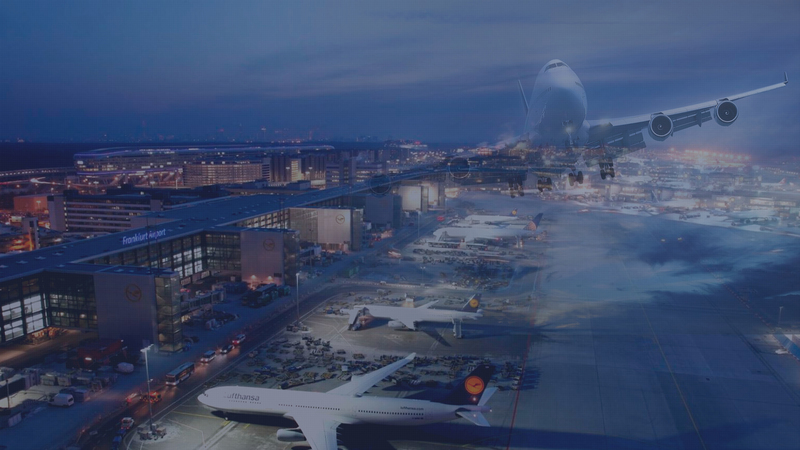 It will keep a convenient temperature for passengers in relation to ambient circumstances. 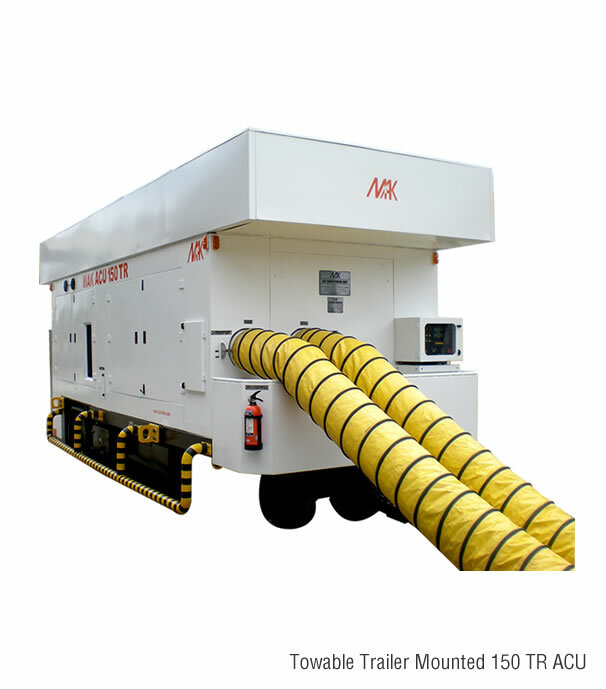 The output air from the Aircraft air conditioning unit travels through one/two hoses that are connected to the aircraft underbelly. 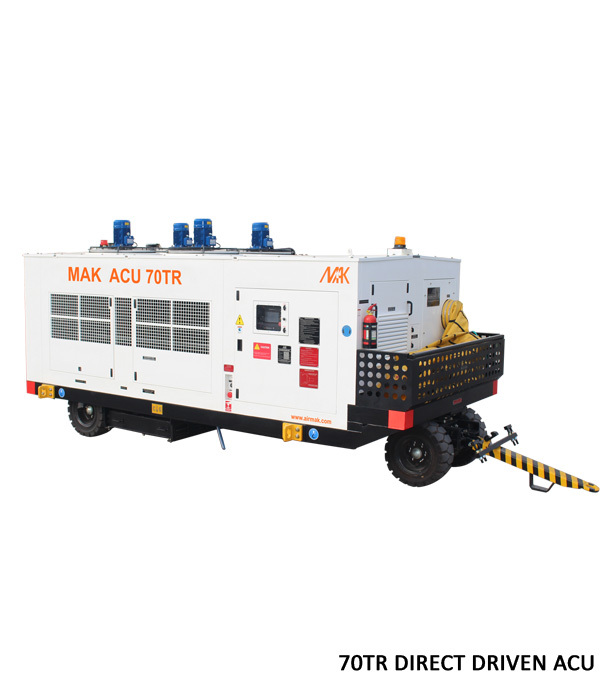 Mak Controls design and manufactures aircraft air conditioning unit from 5TR to 150TR. 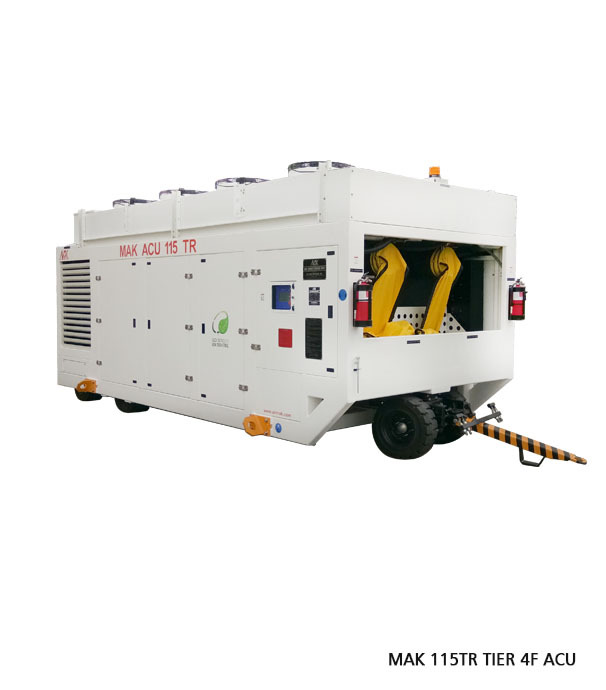 The Standard excellence models are 30TR, 60TR, 65TR, 70TR, 110TR, and 140TR manufactured as per the business commercial aircraft specifications and requirements. 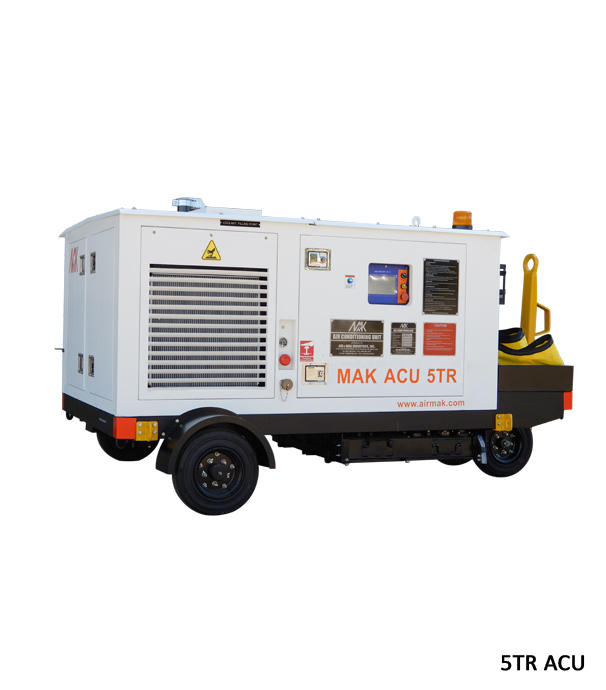 Mak Controls has specially developed air conditioning unit for aircraft like corporate jets with 5TR capacity. 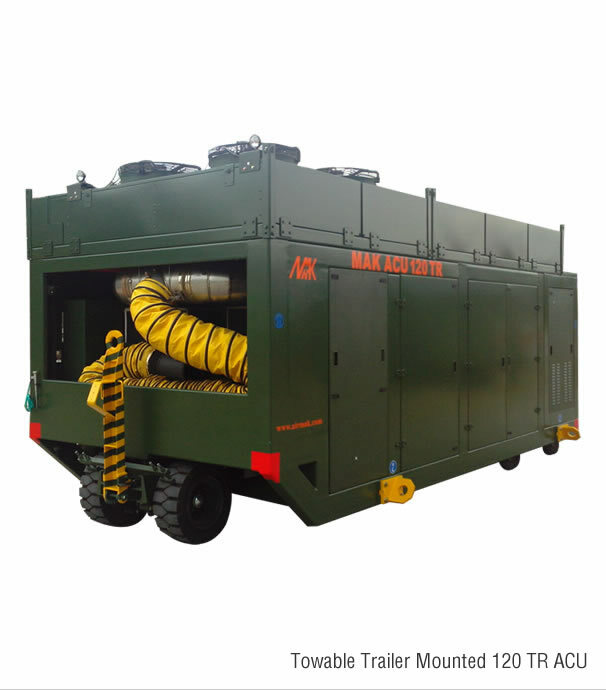 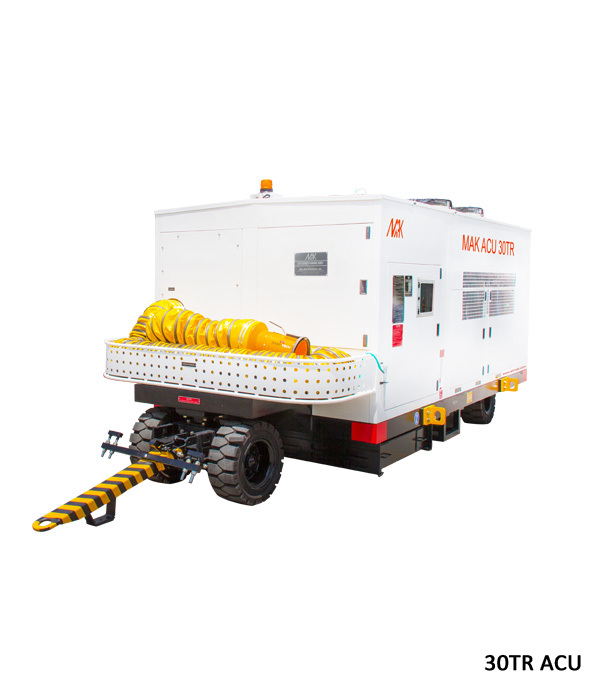 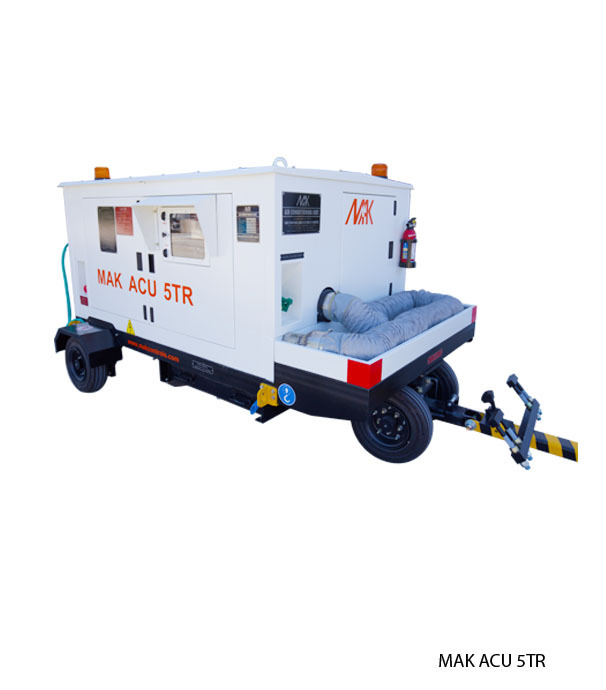 Mak Controls aircraft air conditioning unit boast of 1 Lakh hours of incident-free operation and find satisfied customers among major civil airlines and defense organizations across the world. 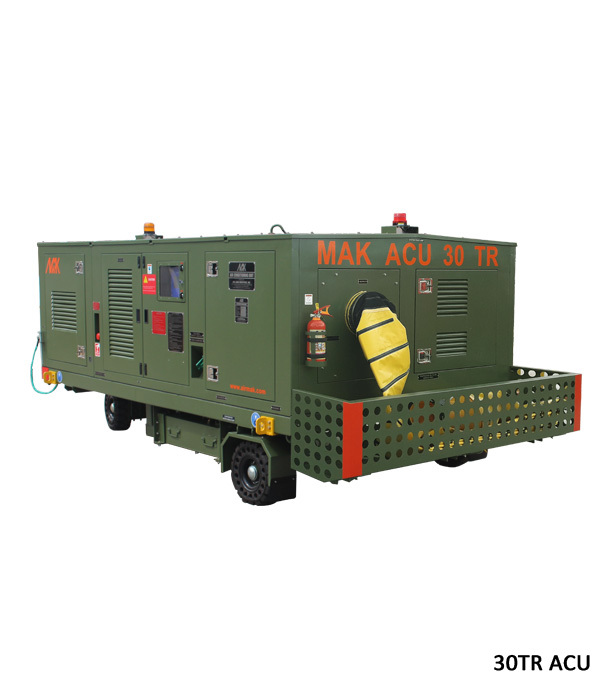 MAK ACU comes with a touchscreen control panel MAK GSEM V8-C and MAK RDMS-A feature rich fleet management software which transmits live operational data to a remote computer/mobile and alerts users in real-time of faults, alerts. 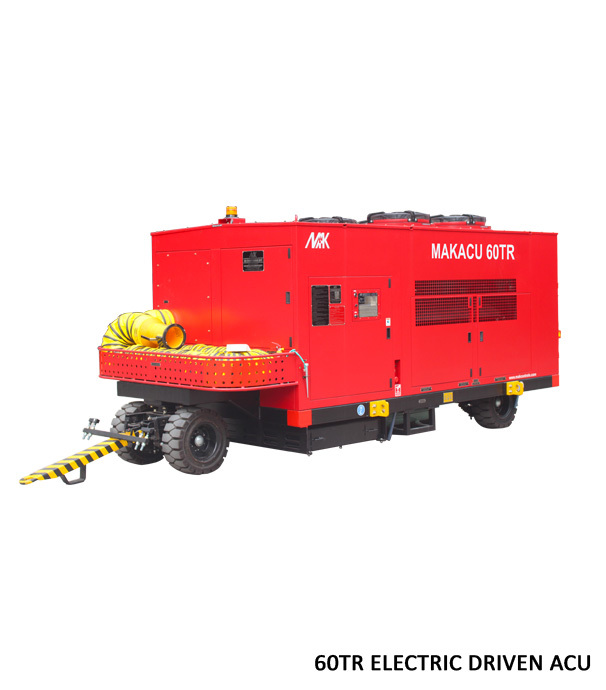 With this software, users can plan maintenance schedules, ad-hoc service records, order spare parts... and much more, eliminating need for dedicated manpower per operation location.